Plan, prioritize, and assign work to track development goals. Backlog is a collaborative project management tool that has everything you need to deliver quality products. Create projects and assign tasks from the product roadmap. Easily keep track of what work has been completed, and see which tasks are falling behind. Keep everyone in the loop for your next product release. Coordinate with development, design, and marketing teams to hit launch dates on time. Assign issues within your team for requests, ideas, bugs, and more. Post comments to start a conversation and have a record of who worked on what. Keep everyone working toward the same product goals for projects and releases. Backlog has everything you need to manage projects, collaborate, and track progress. 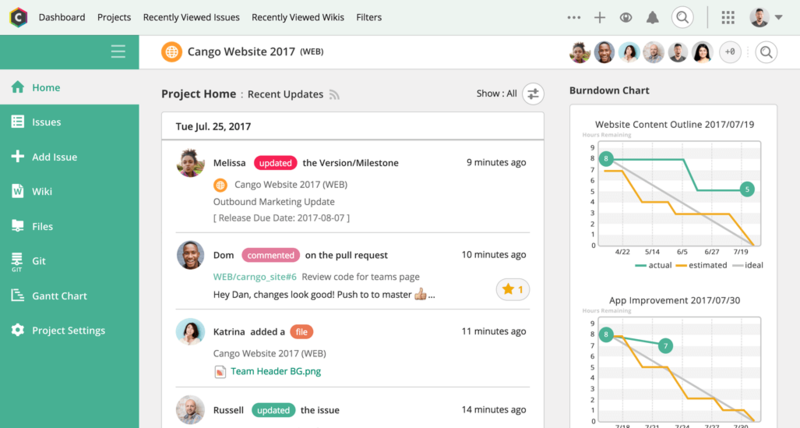 See what everyone is working on in a glance, and ensure a balanced workload by updating tasks directly from the Gantt chart. Backlog makes it easy to coordinate with teams across your company to build, design, and promote releases. After a feature ships, use Backlog to collect feedback and track bugs to improve for the next iteration. Keep project details handy for everyone to access, edit, and download. Control where project members access your workspace for better security.